A long time ago, blacksmiths performed the most basic metal stamping with blows of a hammer. Since then, metal stamping has grown infinitely more advanced. 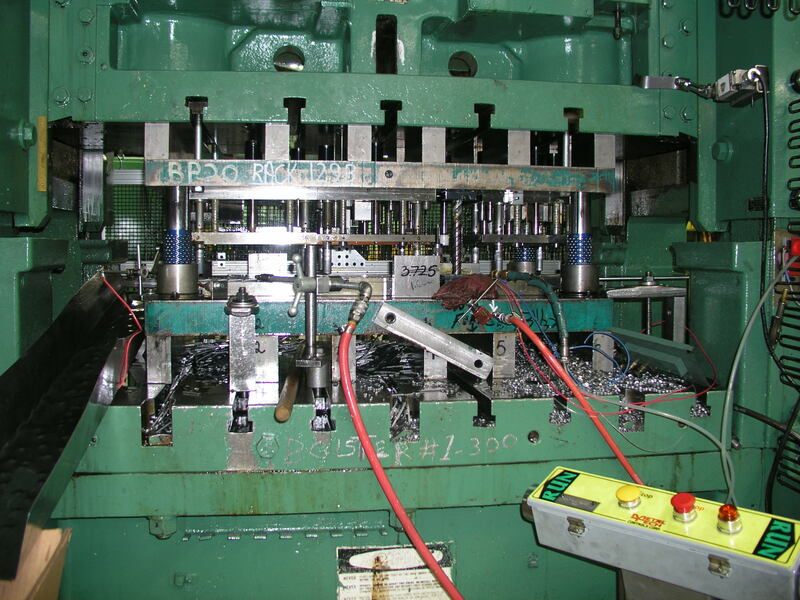 Stamping is a truly integral part of the production process today, and plays a large role in a number of industries. Innovation in technology and automation has improved the metal stamping process in exciting leaps and bounds. One of those innovations is Ford’s advanced prototyping. In the past, it took between 6-8 weeks for Ford to produce a die to stamp a part for a prototype. Thanks to their revolutionary new system, however, that process now only takes mere hours. In this process, Ford’s designers create three-dimensional CAD drawings which are then sent to a machine that uses a pair of robotic arms to bend and weld the material into shape. The arms bend and shape a piece of two-dimensional sheet metal into a three-dimensional object, creating a one-off part in as little as a few hours. It’s a truly advanced manufacturing process that has never been done before. While the process is—by industry standards—lightning fast, it has been years in the making. The engineers at Ford had a vision and a goal of what could be done, and progressed toward that goal over the years using innovation and advanced technology. After significant research and testing, it became what it is today—a perfect example of the current state of American manufacturing. This technology only exists at Ford right now, and the possibility of using it for mass production is still years away. Yet it has a number of implications it has for the future. Ford’s advanced prototyping has paved the way for other applications and industries, creating true potential for metal stamping down the line. We can’t wait to see what kind of changes this new technology will bring to the industry.